Many local and international production companies have been inspired by the atmosphere and architecture of Fremantle - producing successful documentaries, television series and major films. If you wish to film in Fremantle you must complete the filming application form and obtain approval from the City of Fremantle. Films made for commercial gain are charged a site fee for the duration of the film. Student productions are exempt; however an application must be completed. At least five days' notice is required to process filming applications. A certificate of currency for public liability insurance is a requirement for all filming applications. Applications are not required for filming short segments (no longer than 5 minutes) of City of Fremantle premises for background or souvenir purposes, providing there is no disruption to staff or customers, and the footage is for personal or student use. Permission is not required from the City of Fremantle for still photography. 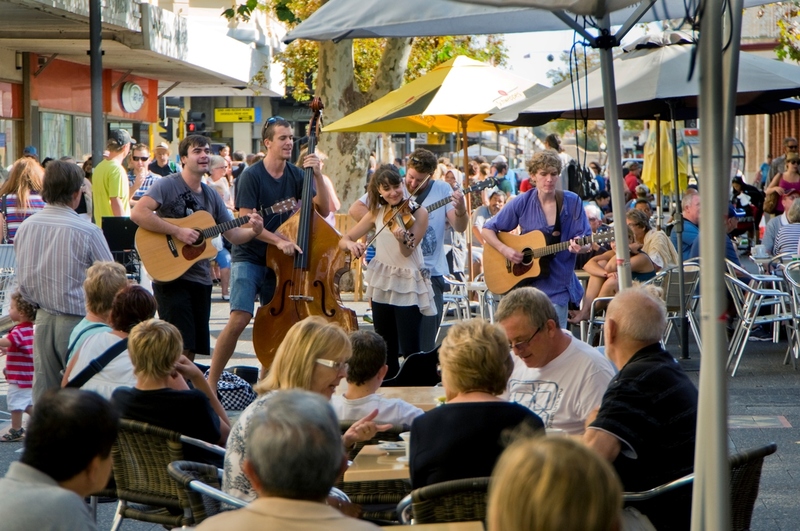 Fremantle has a unique busking culture and a rich history of street performance, which is celebrated annually as part of the City's street arts festival. A permit is not required for busking, however if the ranger asks you to move along you will need to comply with their request. For more information see the Busking in Fremantle guidelines below. Contact the Events Officer to discuss filming and busking requirements.